In the 1995 Holiday Catalog, Pleasant Company introduced a line of 18" dolls with modern outfits and accessories. 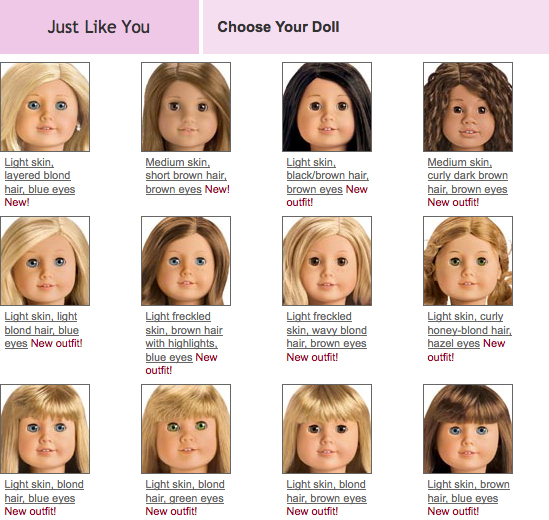 At first there were twenty "American Girls of Today", each with a different combination of hair color, eye color, face sculpt, hair smoothness and skin tone. This also marked the first Asian-American Girl doll (#4) which had an all-new face sculpt. This line of contemporary dolls (as opposed to historical dolls) has changed names many times and currently they're known as Truly Me. The best description of the brand and visual guide to the contemporary dolls can be found at the AGPlaythings Message Board. The My American Girl® line of contemporary 18-inch dolls, books, accessories, and interactive online experience for girls ages 8 and up lets every girl create a truly special and meaningful doll that’s as unique as she is. Using an innovative online tool, girls can personalize their My American Girl doll’s individual look right on-screen—choosing from 44 different combinations of eye color, hair color and style, and skin tone. The personalization continues with a variety of special extras such as braces, glasses, and earrings, as well as outfits and accessories that reflect girls’ favorite interests and activities. 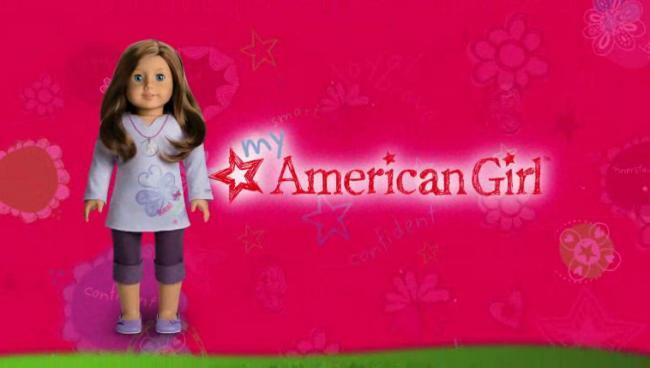 Each My American Girl doll comes with a special charm-keeper necklace and access to innerstarU.com, a fun, enriching, and safe online world where a girl’s doll comes to life. Together, girls and their online My American Girl doll can explore the virtual campus of Innerstar University™ and engage in games, quizzes, and challenges to earn awards, as well as find friends and e-mail other players. Eight non-player characters, called Innerstar Guides™, challenge girls to be their best, while giving real-life tips for boosting their confidence and spirit. The My American Girl line also includes a series of multiple-ending books set in the world of Innerstar University. Each book contains a special code to get additional online endings, as well as temporary access to the online world at innerstarU.com.